YVR Food Fest was previously named Food Cart Fest. The festival is now in its fifth year. New this year will be local and international culinary talent collaborating on long table dinners, food talks, private dinners, and cocktail parties. 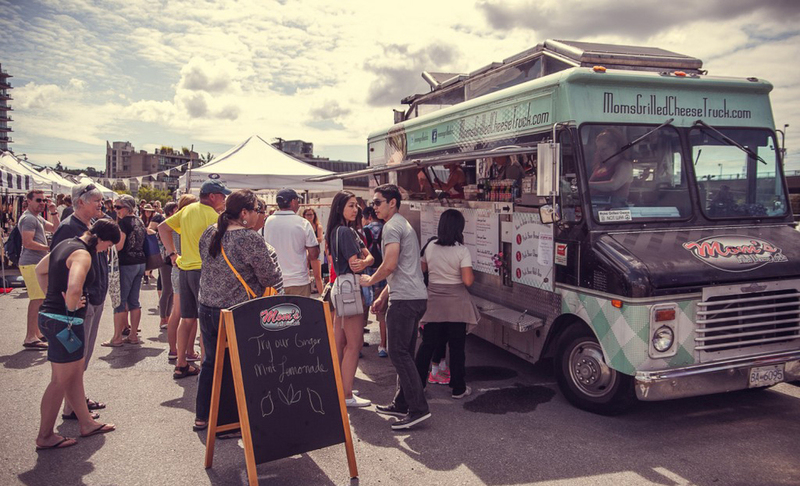 The flagship event is the Street Food Showdown: a two day gathering of 80+ food carts, restaurants, wineries and breweries in the Olympic Village. During this event participating food vendors will be offering up an unlimited tasting menu for a two-hour feeding frenzy. In 2015, upwards of 5,000 people attended the festival every week. Unlimited Taster Menu is served from 12pm - 2pm. $59 ticket includes access to the Unlimited Taster Menu from 12pm-2pm and two drink tickets (alcohol or non-alcohol). $30 ticket includes entry after 2pm and four tasters as well as two drink tickets (alcohol or non-alcohol). $10 ticket includes access to the Street Food Showdown after 2pm and one non-alcohol drink ticket. Please note these are Early Bird prices and tickets are only valid for one day.